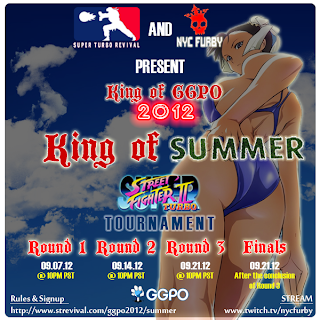 The second round in the "King of Summer" tournament has concluded. Arturo "TS Sabin" Sanchez hosted the second round of the Super Street Fighter II Turbo action on Saturday (Sept. 15). As a result of his first place finish in round one, jarek04 had a bye week. The finals will take place this Saturday (Sept. 22) ET. Sanchez updated the brackets throughout round two. See who walked away from round two a winner, after the jump.